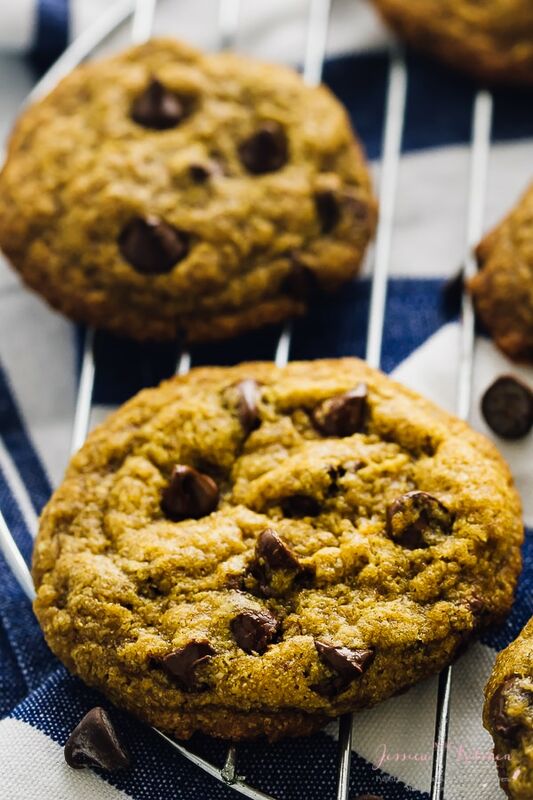 These soft batch Vegan Chocolate Chip Cookies are the best I have ever eaten! 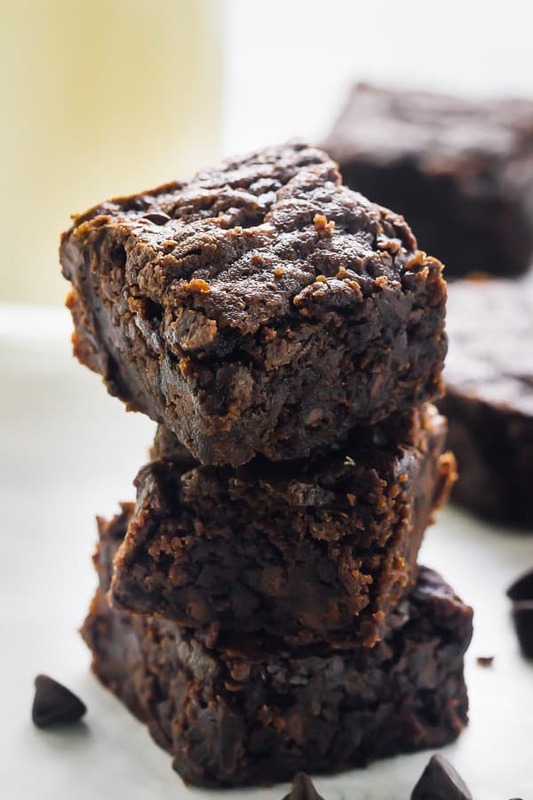 They are made in just one bowl, are deliciously soft, slightly chewy and loaded with chocolate in every bite! Welcome to the best vegan chocolate chip cookies I have ever tasted. Yes, I say that loud and proud. If you know me, you know that this is not a claim I make lightly. These cookies are the kind that are so easy to make, you’ll wonder why you don’t make them every weekend. They are the perfect soft batch cookies with just the right amount of chewiness. Best part? Way healthier than regular cookies so let’s TOAST to that with about 3 or 4, yeah? 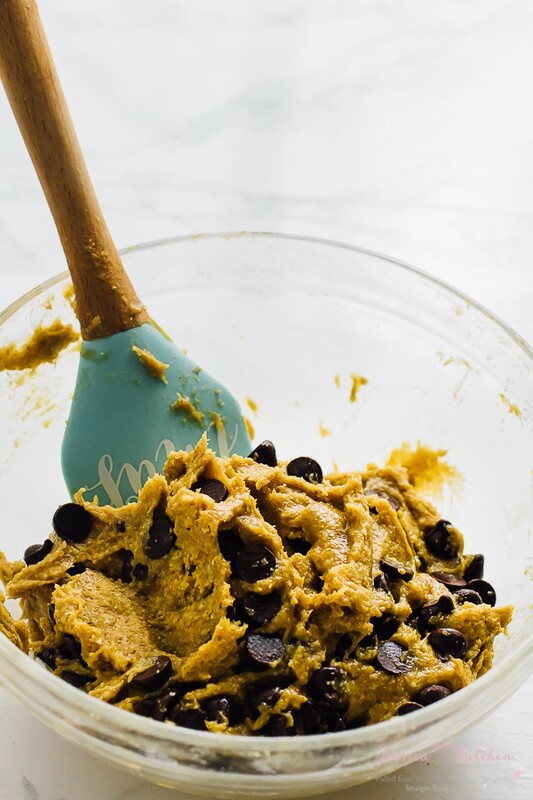 Let’s talk about chocolate chip cookies in general for a second. There are the thin and crispy cookies, soft and chewy, and big fat thick and fluffy ones. I love all of them, to be honest. But I definitely love these soft and chewy ones the most. Every bite is loaded with yummy warm chocolate chips and taste just like the kind you get at a bakery. You can’t beat that, now can you? Now let’s talk divine ingredients. These cookies are made with gluten free oats, coconut oil, pumpkin puree and delicious spices. It’s kind of insane how healthy these ingredients are, actually. You don’t taste the pumpkin at all. It’s only purpose is to replace eggs and to add to the chewiness. The oats are grind up and also contribute to the softness and chewiness of these cookies. The spices of course ups the divine flavour of these cookies. The coconut oil now, is definitely my favourite substitute ingredient. It replaces butter perfectly in it’s solid form. You honestly would never know these cookies were made without butter! 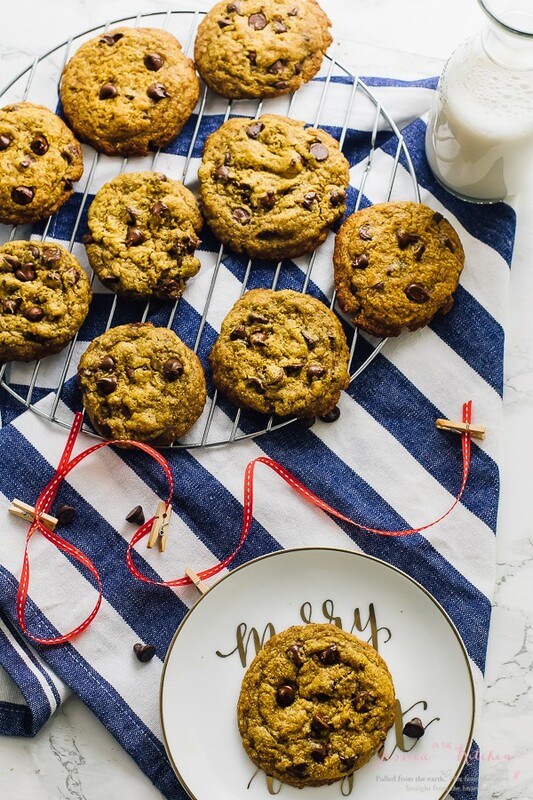 Promise me you’ll definitely try these vegan chocolate chip cookies this month. You will not regret it. In order not to devour the two batches I made over the holidays, we played Mr. and Mrs. Claus and gave these out to friends and family. Just remember to keep a few at home – I won’t tell anyone. Promise. If you try these Vegan Chocolate Chip Cookies (Gluten Free) please let me know in the comment section below, or tag me on instagram with the hashtag #jessicainthekitchen! For more exclusive recipes follow me on Instagram AND on Snapchat: jessinkitchen. Add the oat flour, xantham gum, baking powder and baking soda, pumpkin spice, cinnamon and sea salt into the mix. Blend for about 1 minute. Add the vanilla extract and the pumpkin purée. Blend until thoroughly incorporated, scraping down sides, for about 3 minutes. Fold in the chocolate chips with a spatula. Preheat oven to 350 degrees. Remove Saran Wrap and scoop 2 tablespoons out of the dough. Roll slightly between fingers to form a ball. Place out dough ball on a lined cookie sheet, leaving adequate space between each. Ensure the dough balls are higher rather than wider to ensure they stay as thick as possible. Use more than one cookie sheet if necessary. Place back in fridge for 10 minutes to ensure dough is very cold. Bake for 12-15 minutes; 15 will still be soft but slightly firmer. Remove and let cool for exactly 10 minutes. Serve and enjoy!! O these look perfect Jessica! 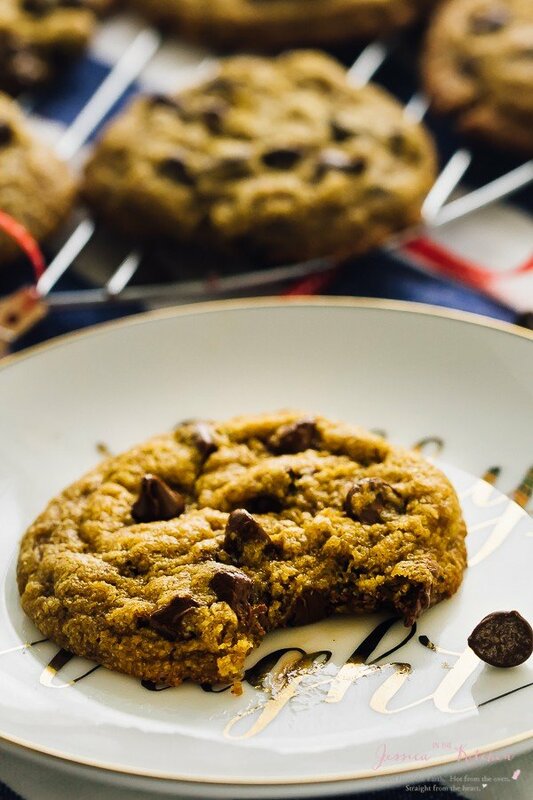 We all have to have that perfect go-to chocolate chip cookie recipe! 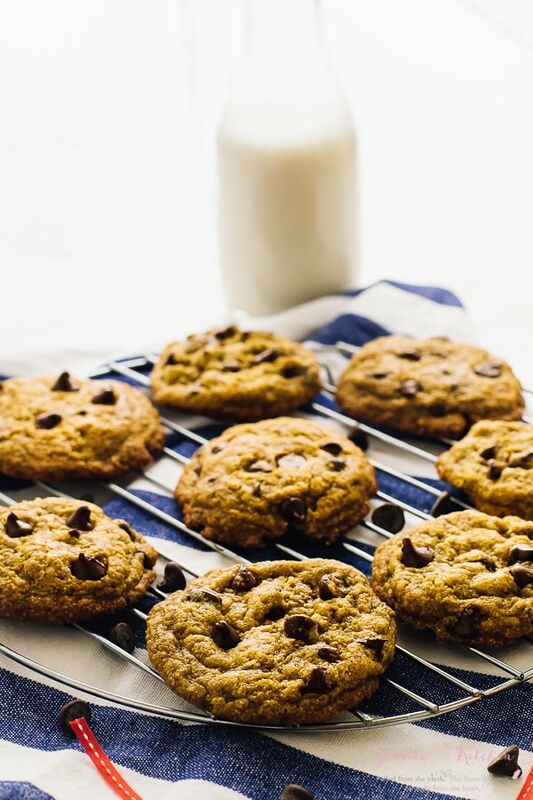 You can never go wrong with a warm chocolate chip cookie, especially when they are soft and chewy like these ! These cookies look delicious!!! Is it possible to substitute the cane sugar for honey instead? Hi! Unfortunately I think not unless it’s very thick raw honey. Otherwise the batter may be too thin. I hope that helps! You made these vegan cookies look amazing! 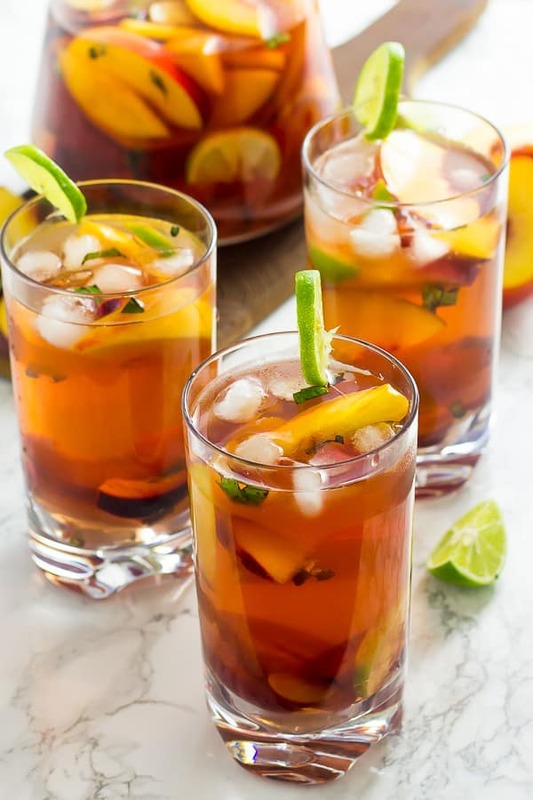 They are on my must make list, especially with holiday parties coming up! Thanks Jessica! Thanks so much Pamela and you’re so welcome!! Can you leave out the xantham gum? I want to make these today and I don’t have zantham gum? If is it necessary, is there something you can substititute? If you’re making it gluten free you can’t leave it out. I haven’t tried to these cookies with regular flour, but they should work if using regular flour but I can’t guarantee since I tested it for gluten free flours. If you try it and it works please let me know! Can cornstarch be substituted for the xanthan gum? Hi Monique, I’ve never tried that so I really couldn’t guarantee the same result, but I have read that it works. If you try it, let me know please! 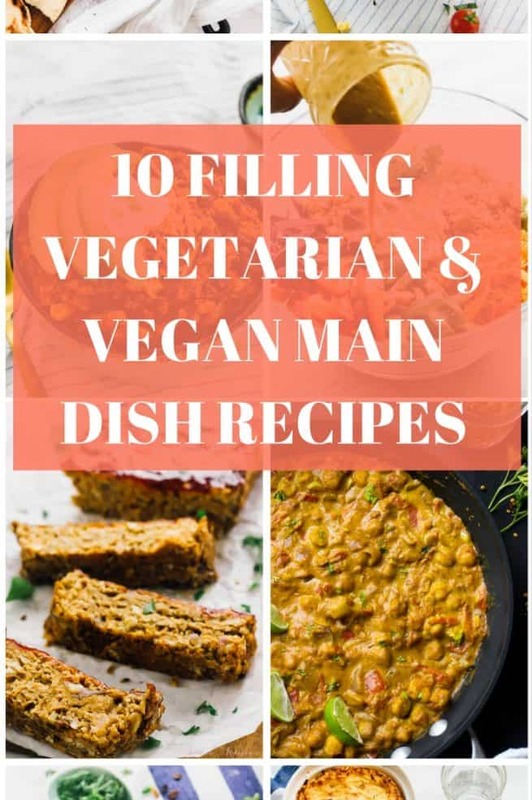 I tend to react to oats so was wondering if you have tried this recipe with any other gluten-free flours like sorghum, millet, teff, brown or white rice (or any combination of things). Thanks! 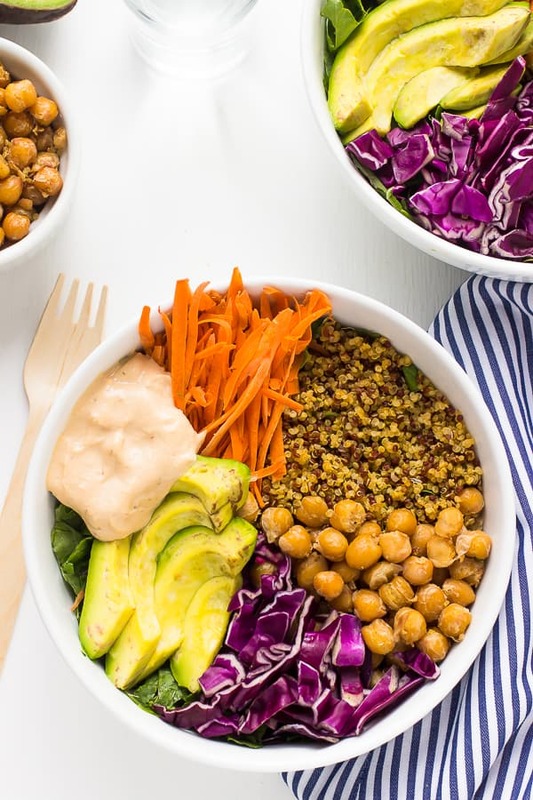 Quinoa flour would probably work 1:1 for this! I hope this helps!! Back where I live (Colombia, that is) there is no pumpkin!! What can I use to replace it? I don’t have a substitute for it here unfortunately! Can you get canned pumpkin puree in the supermarket?